What is your favorito! barbie hadas movie? Do tu think barbie should make fourth Elina movie instead of modern movie o another monotonous fairy movie? Do tu think Linden is ugly? la elección de los fans: No, he's not ugly. a comment was made to the poll: What is your favorito! barbie hadas movie? a comment was made to the poll: do tu like barbie fairytopia? a comment was made to the poll: Do tu want barbie to play a fairy princess? 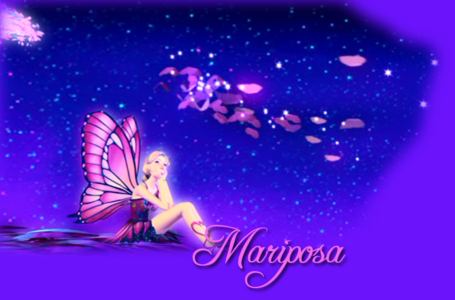 What is Mariposa's guiding constellation?